With the Enterprise edition of Successful Marina, apart from organizing your business like never before, you can also control the movements of people, vehicles and vessels. Each authorized person (eg a Customer, a Subcontractor, etc) can have a contact less (RFID) card in the size of a credit card that can give him/her access to areas of your choosing. The cards can be branded with the logo and details of your business. You can use these contactless cards for access control, automated logging of arrivals/departures, automated invoicing of paid services, tracking of credits collected from loyalty programs you offer to your customers, etc. Each entry and exit event is recorded inside Successful Marina and can be viewed on screen, printed on paper, or exported as Microsoft Excel / Adobe Acrobat PDF file. With Successful Marina handling the access control, you will also be able to be informed about any Vessels that had departed and didn't return in the expected time frame. You can use this capability of the system in order to inform the Coast Guard about any missing Vessels before it is too late. In some cases this benefit can save lives: the lives of your Customers. 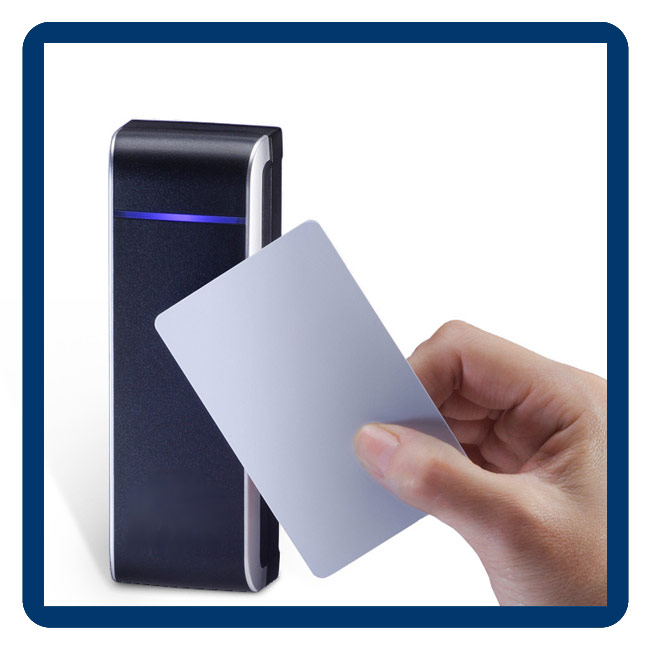 You can install card readers to any place that you need to have Access Control & Security, like gates, car parkings, WC & Showers, etc. With the Successful Marina Access Control System, you can control more than 250 card readers and thousands of user cards simultaneously. Each card reader can manage one door, gate or electical appliance (eg a washing machine, an array of lights, etc). In addition to this, with Successful Marina you can define any set of automated rules that can activate or deactivate the access cards of Customers automatically without you to have to do anything. For example, you can define a rule that will cancel the access card of a Customer automatically when the contract they have with your business expires. Another example of a rule that you can set is, Successful Marina to deactivate the card of a Customer automatically once it is "Red Flagged" in the system by one of your employees, or when the Customer owes you a lot of money for a long period of time (you specify the amount threshold and time frame, eg 10000 EUR for more than 30 days). You can even set a rule that will deactivate the card of specific Vessel a Customer has when this Vessel has expired documents like an expired registration paper, or an expired insurance contract. This capability of the Successful Marina streamlines and automates the supervision of the cards of the Customers and allows your staff to concentrate on more important things like the service of your Customers. Card Readers can be installed near doors and gates like this outdoor, security gate. The card reader case is made of alluminium and it is water and dust proof.